Situated near Wanaka, the only town in the Southern Hemisphere featured in National Geographic’s World’s 25 Best Ski Towns, Treble Cone Ski Resort is one of New Zealand’s premier ski holiday destinations. Since its establishment in 1968, the Ski Fields of Treble Cone Ski Resort has been voted the Best New Zealand Ski Resort twice. The region is well known for having produced some of New Zealand's only international skiers ever to compete in the Olympics. Treble Cone Ski Field has continually been upgrading its facilities to cater to for the increasing amount of both local skiers as well as international tourists. The largest ski resort in South Island, Treble Cone or ‘TC’ is popular for its steep and challenging off-piste terrain that offer astounding views of Lake Wanaka and Mt. Aspiring. Aside from its 550-hectare skiing terrain, it also has the steepest and longest vertical drop in Queenstown Southern Lakes District. 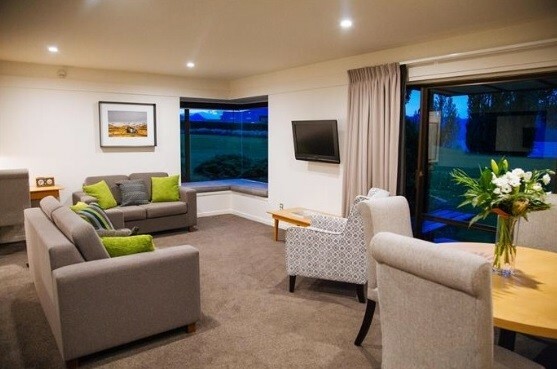 The ski resort is just 35 minutes away from the lively town of Wanaka and 90 minutes away from Queenstown. The resort is located on top of a 7 kilometers access road; although the path is unpaved, it is suitable for cars, motorhomes and even coaches. Standing proud at 2,088m, Treble Cone receives an average of 5.5 meters of quality snow annually. Skiing in Treble Cone is mostly suited for intermediate skiers. The skiable terrain is comprised of four basins, all accessible by the resort’s 4 efficiently planned lifts. Home Basin, serviced by a 6-person chairlift, is located at the base area of the resort and offers numerous trails for beginners. A 100-meter walk from the top station of the Home Basin Express is the Matukituki Basin viewpoint and the gateway to an excellent backcountry terrain. A quad chair services the Saddle Basin and the extreme terrain of Motatapu Basin. From the Saddle Basin quad top station, freeriders and advanced skiers can reach the Treble Cone Summit, the Summit Ridges and the Towers by hiking or by a helicopter ride. Saddle Basin is the best spot for snowboarders and freeriders. Around the Bullet trail, plenty of rails, jumps and enjoyable natural half-pipes await beginners to advanced snowboarders. For deeper snow and steeper slopes, another option is the Upper High Street trails or the legendary Gun Barrel where the yearly TC banked slaloms are held. Treble Cone ski resort attracts a lot of first timers and families with its kid-friendly beginner’s area and free beginner lift access. The resort’s skiing school called the Snow Sports School also offers complete packages and private lessons for kids and first timers. All of the beginner trails are located at the Home Basin. A magic carpet welcomes first timers and takes them to the wide and gentle slopes of the Nice ‘n’ Easy Platter. The resort also features a new Jazz Kids' Fun Trail with jumps, bumps and thrills that will keep children entertained. Accessed from the top of Volkswagen Express, the 3.2km long Easy Rider trail is perfect for training beginner skiers and snowboarders with the encouraging and breathtaking views of the Southern Alps and Lake Wanaka. Almost half of the skiable terrain in Treble Cone is dedicated to intermediate skiers. Most of the legendary red runs are located at the Saddle Basin, un-groomed and made up of gullies and ridges. The blue Upper High Street trail starting from the top of the Saddle Quad Lift all the way down to the base area gives skiers a whopping 4.5km leg burn. The Matukituki and Home Basin has several steep intermediate off-piste trails too including the Powder Bowl and the chutes above it. Several challenging and consistently groomed trails are available for expert skiing in Treble Cone. There are several un-groomed tracks in the Home Basin including the steep and narrow Upper Gun Barrel and Indicator Chutes. 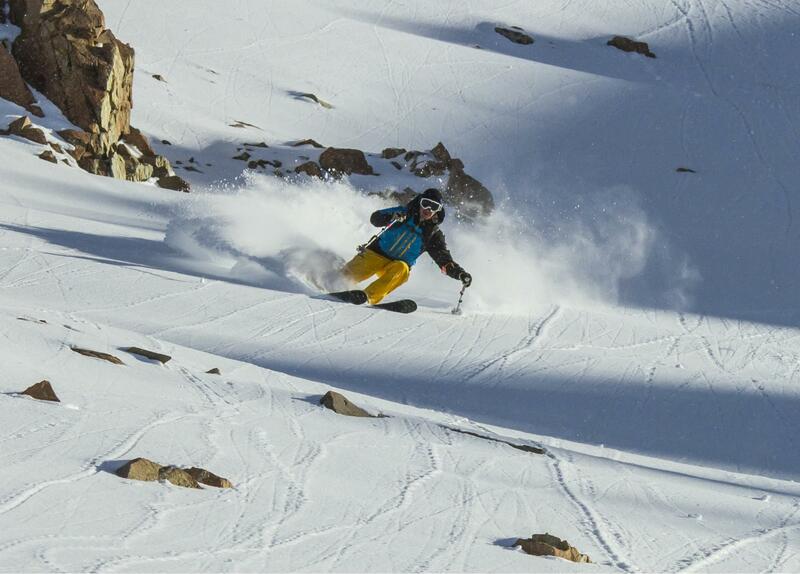 Saddle Basin has some black off-piste trails filled with moguls and big rock drops. For a more exhilarating experience, turn right at the top of the Saddle Quad Lift and head to Motatapu Basin. The expert only terrain is home to NZ’s steepest and most difficult trails including some black and double diamonds near the Holly Bowl. There are several on-mountain dining locations at Treble Cone. Espresso Van, located by the gate of the ski resort and Grab and Go offers freshly baked goods and hot and cold drinks on the go. The Southern BBQ and the ‘Bar’ serve tasty snacks and hearty meals throughout the day. Twelve60 and Allpress at Altitude Bar are perfect scenic afternoon spots for a craft beer or wine. For more après and bars, skiers have to drive all the way down to Wanaka where more than 40 bars, restaurants, and pubs await eager skiers every evening! The Antler Bar and Restaurant is an iconic and cozy West Coast après ski spot that offers excellent and affordable meals and the wide selection of drinks featuring Monheit's quality craft beers. The log fire warmed bar with antler adorned ceilings is located at the Haast Township surrounded by trees and rivers. A vibrant music lounge in Wanaka, LalaLand is favorite among locals and international skiers for its comfortable couches and delectable collection of wines and other tempting beverages. Open as early as 4 pm, Lalaland Lounge bar offers a perfect view of the lake with a menu that includes light snacks and a variety of cocktails and affordable beers. Located at the heart of Wanaka, the Urban Grind is a popular après ski bar that serves world-class hot chocolate and espresso coffee in the afternoon and mouthwatering tapas, steak and gourmet pizza in the evening. The overlooking upstairs bar offering Wanaka’s largest range of craft beers and cocktails also features gigs and live sessions Friday to Sunday. Experience great live music accompanied by a cold beer after a long day at the challenging slopes of Treble Cone! The ground level area is mainly for dining guests where the best tasting Club Sandwiches in Wanaka and the pub’s award-winning Nana Puddings can be enjoyed. The upstairs attic bar serves a wide range of Imported Beers including authentic Guinness beers and Kilkenny. The bar has a pool table and large screens for sports viewing or watch parties. Bagging 2014’s New Zealand’s Best Ski Resort award, Treble Cone has something for children, families, and non-skiers too. Here are some fun winter activities at Treble Cone for everyone to enjoy. The Home Basin Express is the best way for families and non-skiers to explore the beauty of Treble Cone and surrounding areas. The scenic chairlift ride is perfect for children to feel the majestic mountain at 1,750 meters. The Lift slows down at the offloading station. The Matukituki viewpoint is just a short walk from the top of the station. It gives visitors some of the most breathtaking panoramic views of snow covered jagged mountain peaks and the glacier-carved river valley. Learn how to drive on snow and ice with the guidance of the highly qualified instructors at Southern Hemisphere Proving Grounds (SHPG). Located at Pisa Range, south of Lake Wanaka, the award-winning facility lets you drive luxury European cars on world-class and expertly prepared snow tracks. The once in a lifetime ice driving experience, however, is exclusive for groups of 10 and above. Head over to Wanaka to enjoy a memorable skydiving experience for everyone (probably not for very young children). The skydive is performed by experts, and every safety measure is taken to ensure that everyone jumps off and lands safely. Do not miss this ultimate experience on your visit to Treble Cone. Take an Aspiring helicopter trip that will take you over countless scenic locations near Mount Aspiring National Park. There are several selections including tours to the Southern Alps glacial fields, Mt. Aspiring mountainous terrain, Lake Wanaka and Milford Sound. 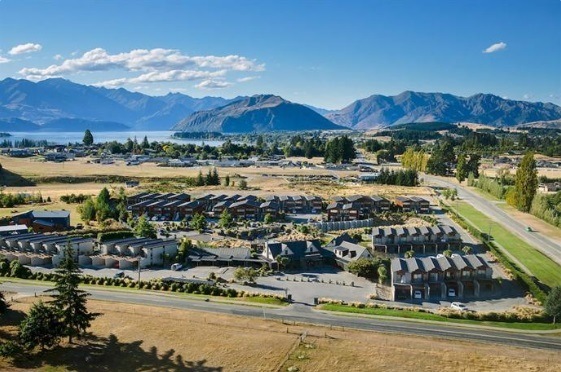 Located 20 minutes away from Wanaka, the tour starts from the Cattle Fleet Station and lands on the glaciated Fog Peak (3,033m) for sightseeing or drops adventure-seekers on top of Black Peak for some challenging downhill run to the valley floor. Take a break from the slopes and head to New Zealand’s best classic car, aircraft and motorbike museum. Warbirds & Wheels Wanaka showcases over 35 world-class vintage vehicles dating from 1915 to the ’70s and features an award-winning retro diner serving NZ’s famous House-made Warbirds Pies. Located 45 minutes from Wanaka, Snow Farm provides one of the best of dog sled experience in New Zealand. The Underdog sled tours offer different types of tours including basket ride tours for families and tourist with disabilities and evening or overnight trips for the adventurous.